Australia's pioneer of small-ship expedition cruising Coral Princess Cruises has announced details of the next installment in their popular Victories in the Pacific series, visiting the major World War II battlefields of the South Pacific. 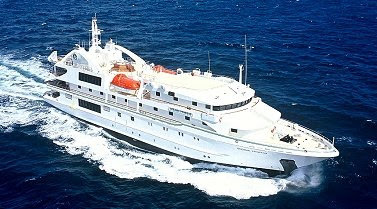 The 10-night 'New Guinea Campaign' expedition departs Port Moresby on 13 November 2013 aboard the company's state-of-the-art, 72 passenger small ship Oceanic Discoverer. The itinerary, developed by Coral Princess in conjunction with Australia's foremost military historian and author Mat McLachlan, features a visit to Cape Gloucester on the island of New Britain, the first time an organised tour group has landed in this historically significant area. Another highlight is a day spent around the villages of Buna and Gona on the eastern end of the Kokoda Track, where Australian and US forces suffered major losses in a bloody 3-month battle with the Japanese Imperial Forces before eventually forcing the Japanese into retreat. The expedition will be personally guided by McLachlan, who will share insights into the battles, along with countless tales of heroism of the young Australians who went to war, many of whom never returned. McLachlan will lead tours of the key battlegrounds of Milne Bay, Goodenough Island, Sanananda, Lae, Madang and Kimbe Bay. SCUBA divers will also have the opportunity to dive the bombed wreck of the Japanese supply ship Kotoku Maru. 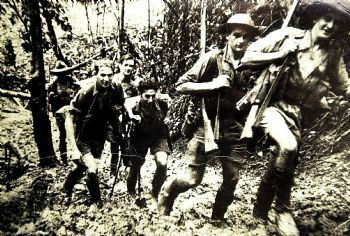 The 'New Guinea Campaign' follows on from the company's successful 'Guadalcanal Campaign' expedition of March 2012, a highlight of which was the emotional return of US veteran Chuck Meacham to the island of Puruata, his first visit to the island since landing on the Japanese-controlled island in 1943. Prices for the 10-night 'Victories in the Pacific: The New Guinea Campaign' expedition aboard Oceanic Discoverer start at $9,090 per person in a Main Deck (Category B) Stateroom. The company is also offering a three night pre-cruise extension in Port Moresby, where participants will be able to join a service at the beautifully maintained Bomana War Cemetery on Remembrance Day and visit famed Owen's Corner on the western end of the Kokoda Track.